Ruth Gowan is a Service Manager with Barrie branch. She lives in Oro-Medonte and has a hobby farm. This year Ruth has something new on her farm: a beehive! 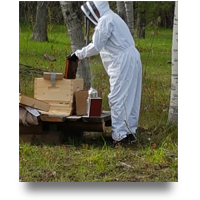 Over the winter she purchase a “nuc” (bee talk for a “nucleus” or a “starter bee farm”). 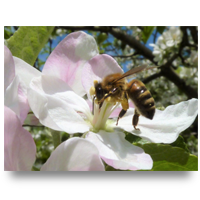 A nuc contains a queen bee, arvae, pupa and worker bees (referred to as “the brood”). She transferred the nuc into her empty beehive. A beehive contains 9 trays; right now Ruth is adding a new tray weekly to manage the growing bee population. She’ll have two boxes filled with 18 trays by the end of the summer. On top of the box is a “super” where the honey is stored. Ruth hasn’t collected any honey yet, she’s letting the bees use it to increase their population. The bees are out daily, working had to collect nectar and pollen to feed the baby bees. 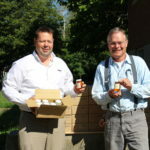 In the meantime, the excess honey they manufacture is used to keep them through the winter. But it won’t be long until Ruth and her daughter Ila (who also works at Abell) will be able to enjoy fruits of their labour and harvest some delicious honey! 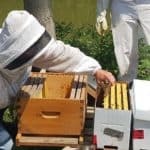 Miraculously, honey can remain unspoiled forever due to its unique combination of acidity, lack of water and presence of hydrogen peroxide mixed in a perfect balance! Ruth takes her dog for a walk every night and passes a local dead tree that contains a live wild beehive. 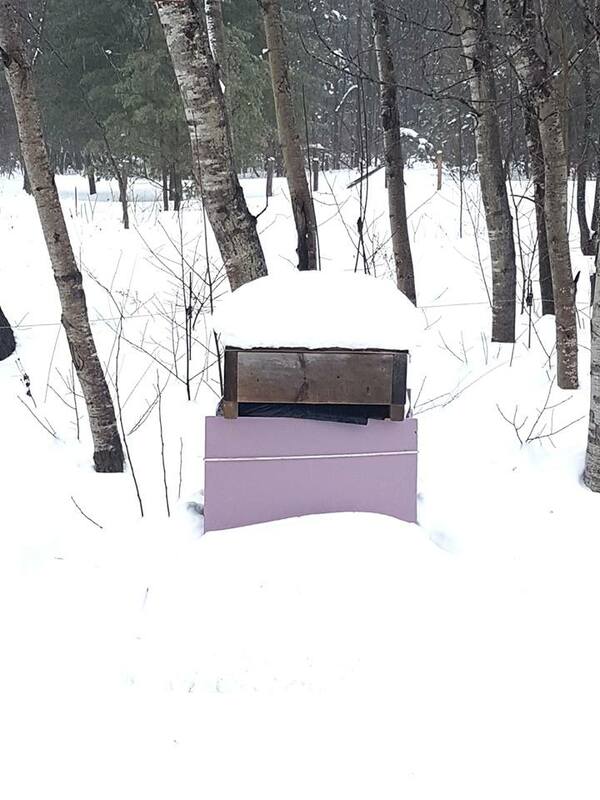 So bees are thriving in Oro-Medonte, thanks to Ruth and Ila’s efforts. 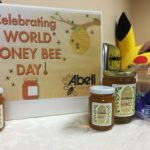 Abell is Kicking Off Honey Bee Season! Abell Pest Control is a family-owned Canadian company dedicated to providing effective, professional and courteous service in pest management. Founded in 1924, Abell now employs several hundred people with branch offices across Canada and the United States. © Abell Saves Bees 2019.